Ice Machines can be found in restaurants, homes, business, hotels, manufacturing facilities, grocery stores, and many other places. They can range from ice chests that hold ice to automatic ice dispensers and can also range in production level from 50 lbs. to thousands of pounds! Ice machines also differ in the type of ice. The types of ice include: Vogt tubers, cubers, nugget, and flakers. Because of the water used and stored in the machine, ice machines need routine maintenance to keep both the machine clean and water pure.  At BIMS, our team of highly trained service technicians is available 24/7 to ensure your ice machine is repaired quickly and correctly. We pride ourselves on giving quality service that is focused on ensuring longevity of the whole system, optimizing efficiency, and centering on the source of the problems versus only alleviating symptoms. Much like a doctor, we want to treat what’s causing the fever rather than only treat the fever. We also understand how precious keeping a business in operation is. Thus, if something goes wrong, we will work with you to get the problem resolved so that “down-time” is kept to a minimum. If, worst case scenario, the ice machine needs replacing, our team will work diligently to ensure the process is as flawless and as quick as possible. For any issue, B.I.M.S. has access to a vast network of distributors for parts and equipment (including those hard to find). It is important that you make sure and maintain your ice machine on a regular basis. If your commercial ice machine fails a health inspection, the result can be a hefty fine and significant disruption to your business. We will inspect your system for mineral scale build up, algae, slime, air borne yeast, and make sure that the coils are cleaned and the filters replaced, and check for leaks as well. This kind of early intervention can lead to a longer life for your machine and more efficient operation. Keep your ice machine performing at its optimal level and help ensure its long life by having it properly maintained. This preventive maintenance keeps the ice machine operating at peak efficiency, minimizes unnecessary repairs and down-time, and helps keep energy costs low. This service keeps your system clean and in good working order. It also helps prevent smaller problems from becoming larger, more costly problems. Call us today at (214) 467-2653 if you have any questions about ice machines and/or are having issues with your ice machine(s).